Effective Date: The effective date of these terms and conditions is 03/01/05. 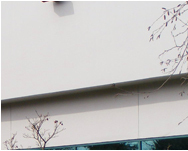 This website (“Site”) is owned and operated by Hinds Instruments, Inc. (“Hinds”). The information and materials on the Site are provided as a service to the users and customers of Hinds and may be used for informational purposes only. You may use the Site and download materials subject to the provisions below. By using the Site or downloading any materials, you agree to these terms. If you do not agree to them, do not use the Site or download any materials. Unless otherwise expressly stated, Hinds owns all the material published on the Site, including the intellectual property contained herein. These materials may not be copied, reproduced, modified, published, uploaded, posted, transmitted, or distributed in any way, without Hinds’ prior written permission, except that you may view, download, and print materials on a single computer for your personal individual use. Please note that this is a license, not a transfer of title and Hinds may terminate this license at any time if you are in breach of the terms of this agreement. You are not authorized to modify the materials or use them for any commercial purpose, nor are you authorized to remove any copyright or other proprietary notices from the materials, or transfer them to any third person. The use of such material on any other website or networked computer environment is expressly prohibited. Other than as stated herein, you are not granted any express or implied rights to any patents, copyrights, trademarks, or trade secrets owned by Hinds or any third party. The use of these materials for any other purpose is a violation of Hinds’ copyright and other proprietary rights. Any software you download from the Site is subject to the license terms in the license agreement that accompanies or is provided with the software. You may not download or install the software until you have read and accepted the terms and conditions set forth in the license agreement. Materials on the Site are copyrighted and are protected by worldwide copyright laws and treaty provisions. All rights reserved. 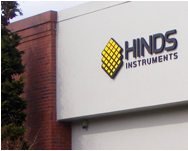 Unless otherwise expressly identified, all contents of the Site are copyrighted by Hinds Instruments, Inc. Documents published on the Site may contain other proprietary notices or describe products, services, processes or technologies owned by Hinds, or third parties. Please note that by publishing these documents, Hinds is not granting any license under any copyright, trademark, patent, or other intellectual property right of Hinds or any third party, except as expressly stated herein, or by the third party owner of the copyright. Hinds Instruments, Inc. and the Hinds logo, as well as Exicor and its logo, and PEM and PEMLabs are either trademarks or registered trademarks of Hinds Instruments, Inc. Other company and product names used herein may be the trademarks of the respective companies with which they are associated. The mention of such company and product names on the Site is with due recognition and without intent to misappropriate such names or marks. You may not use any marks appearing on the Site without the prior written consent of Hinds or the third party owner of such mark. Your unauthorized use of such marks may constitute infringement, which could subject you to substantial civil penalties. You acknowledge that it is technically impossible to provide a website free of faults and that Hinds does not undertake to do so; that faults may lead to the temporary unavailability of the Site; and that the operation of the Site may be adversely affected by conditions and performances outside Hinds’ control, including, without limitation, transmission and telecommunications links between the Site and your computer, and between the Site and other systems and networks. Neither Hinds nor its employees, agents, distributors or licensors warrant that the Site or its operation will be accurate, reliable, uninterrupted, or error-free. You are responsible for implementing sufficient procedures for accuracy of data input and output, backing up of data and protection from malicious or damaging computer software. If your use of the Site results in the need for service or replacement of property, material, equipment, or data, Hinds is not responsible for those costs. Hinds assumes no liability for the content of any material provided on the Site. To the extent that you rely on the information presented on the Site, you do so at your own risk. Hinds reserves the right to change or discontinue any aspect or feature of the Site, or any products or services mentioned on this Site, at any time without notice. Further, Hinds reserves the right not to make any changes to the Site, even if Hinds has been notified that errors or discrepancies exist on the Site. THE MATERIALS ON THE SITE ARE PROVIDED “AS IS”, AND WITHOUT WARRANTIES OF ANY KIND, EXPRESS OR IMPLIED, INCLUDING THE WARRANTIES OF MERCHANTABILITY, NONINFRINGEMENT OF INTELLECTUAL PROPERTY, OR FITNESS FOR A PARTICULAR PURPOSE. IN NO EVENT WILL HINDS OR ITS SUPPLIERS BE LIABLE FOR ANY DAMAGES OF ANY KIND (INCLUDING, WITHOUT LIMITATION, DAMAGES FOR LOSS OF PROFITS, BUSINESS INTERRUPTION, LOSS OF INFORMATION) ARISING OUT OF THE USE OR INABILITY TO USE THE MATERIALS ON THE SITE, EVEN IF YOU HAVE ADVISED HINDS OF THE POSSIBILITY OF SUCH DAMAGES. SOME JURISDICTIONS PROHIBIT THE EXCLUSION OR LIMITATION OF LIABILITY FOR CONSEQUENTIAL OR INCIDENTAL DAMAGES, IN WHICH CASE THIS DISPCLAIMER MAY NOT APPLY TO YOU. The Site provides links to other websites operated by third parties. The inclusion of a link to such websites does not imply endorsement by Hinds of these sites, but is for the reference and convenience of Hinds’ users and customers only. Hinds has not reviewed all of the websites linked to the Site and is not responsible for the content or accuracy of any off-Site pages or any other websites linked to the Site, nor does Hinds recommend or endorse any information, products, services, or procedures that may be mentioned on or represented on websites linked to the Site. Linking to other websites is done at your own risk and is subject to the terms and conditions of use pertaining to those websites. You may create a link from your personal computer to the home page for the Site, or other sites owned or operated by Hinds Instruments. However, without Hinds’ written consent, you may not create any hyperlinks to specific content on the Site, or use any of Hinds’ trademarks, copyrights, proprietary logos or graphics, video or audio material in your links. Further, you may not create a link in any manner reasonably likely to a) imply an affiliation with, or endorsement or sponsorship by Hinds, b) cause confusion, mistake, or deception, c) dilute Hinds’ trademarks, or d) otherwise violate US property law. Under no circumstances are you allowed to “frame” the Site or any of its content, or copy portions of the Site to a server, except as incidental to normal page-caching routines. Each page within the Site must be displayed in full (including all trademarks, branding, advertising, and promotional materials), without any accompanying frame, border, margin, design, branding, trademark, advertising or promotional materials not originally displayed on the page within the Site. You agree: a) not to use the Site or the materials herein for any unlawful purpose; b) not to use the Site in a manner in which the whole or any part of the Site is interrupted, damaged, rendered less efficient, or the effectiveness or functionality of the Site is in any way impaired; and c) not to use the Site for the transmission or posting of any computer viruses or any material which is defamatory, offensive or of an obscene or menacing character, or in such a way as to cause annoyance, inconvenience or needless anxiety. Termination of your license to use the Site shall not affect any right or relief to which Hinds may be entitled at law or equity. You agree that Hinds may immediately terminate your use of the Site if Hinds reasonably believes that you have violated or acted inconsistently with these terms and conditions, or violated the rights of Hinds or any third party, or for any reason, with or without notice to you. Please note that Hinds does not want to receive confidential or proprietary information through the Site. Any suggestions, ideas, notes, computer programs, data, drawings, concepts or other information of any kind provided by you in connection with the Site shall be deemed to be non-proprietary and non-confidential, and shall become the sole and absolute property of Hinds. Hinds shall have no obligation of any kind with regard to such materials and shall be free to use or disseminate such materials on an unrestricted basis for any purpose. The legality, reliability, appropriateness, originality, and copyright of such submissions are the full responsibility of the person submitting them. 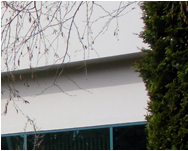 The Site is controlled and operated by Hinds from its offices within the United States of America. Hinds makes no representation that the materials on the Site are appropriate or available for use in other locations, or in territories where their contents are illegal or is prohibited. Those who choose to access the Site from other locations do so on their own initiative and are responsible for compliance with applicable laws and regulations of their locale. You may not use or export the materials on the Site in violation of US export laws and regulations. 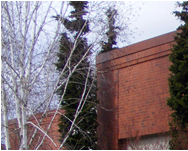 Any claim relating to the Site or the materials therein shall be governed by the laws of the State of Oregon. Unless Hinds has otherwise expressly agreed with you in writing, these terms and conditions (as amended from time to time) comprise the complete and entire agreement between you and Hinds with respect to the Site. In the event any provision is found to be invalid at law, the invalidity of such provision shall not affect the validity of the remaining provisions of these Terms and Conditions, which shall remain in full force and effect.